In the South of France, just 50 minutes from Montpellier, on the shores of the Thau Lagoon, in the Quaint Port of Marseillan. Join us on a guided tour, select your own experience or even create your own bespoke private event at the home of one of the world’s finest French vermouths. 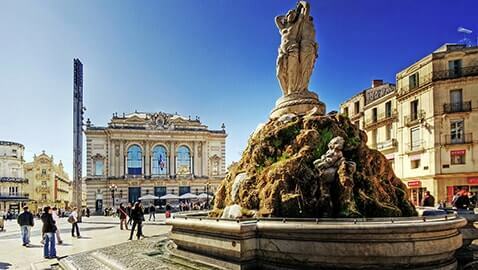 From Montpellier / Beziers, from Highway A9, take the exit 34 « Agde ». Follow Agde Ville & Marseillan. Please plan your trip in advance and enjoy Noilly Prat Vermouth responsibly. The closest train stations to La Maison are Agde or Marseillan Plage which are serviced by trains originating from Montpellier/ Paris (TGV) or Beziers. From Agde you can pick up a cab and from Marseillan Plage station, la Maison is a a 60 minute walk along Le Bassin de Thau. The closest airports are Montpellier Méditerrannée and Béziers Cap d'Agde. 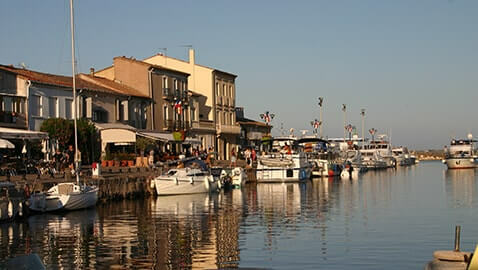 In Marseillan center, follow Port . At the theater roundabout, take the exit onto Boulevard Lamartine, and turn right towards Rue Noilly. 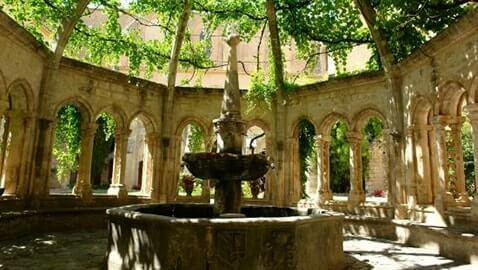 Come to discover this small steeped in history Mediterranean village. Let your imagination go by discovering the halls of the former bourgeois houses, the statue of the Republic, the covered square or the Jean-Baptiste church. 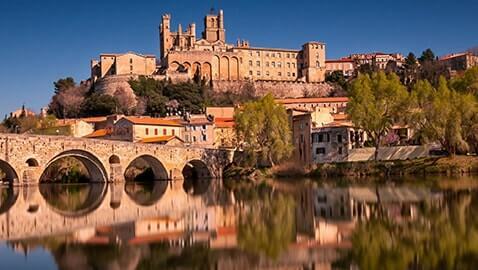 As the Maison Noilly Prat, other sites of exception are to be discovered in Occitania. As the abbey of Valmagne, within 20 min of Noilly Prat winery. 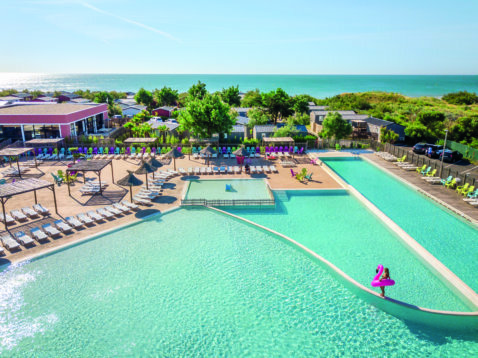 Les Méditerranées are 3 Camping Villages & Spa 5* located in Marseillan. Enjoy with your family, lover or friends an unforgettable holiday near the most beautiful beach in Languedoc. Les Chambres d'Andréa is a typical southern-French ‘vigneron’ house. 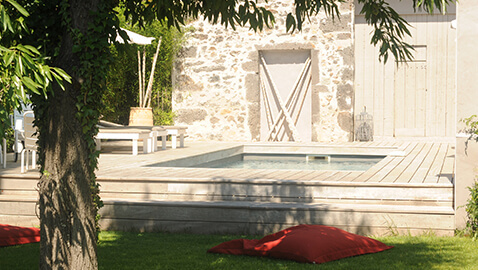 Built originally to accommodate wine-producers and the fruits of their delicious harvests. 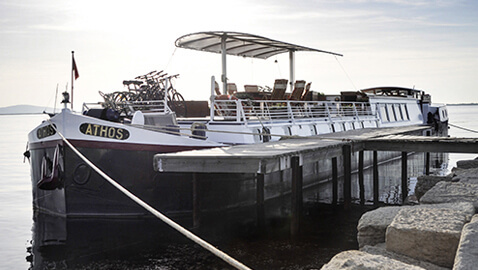 Luxury Péniche-hôtel Athos cruises through the rustic landscapes of the Languedoc on the Canal du Midi. 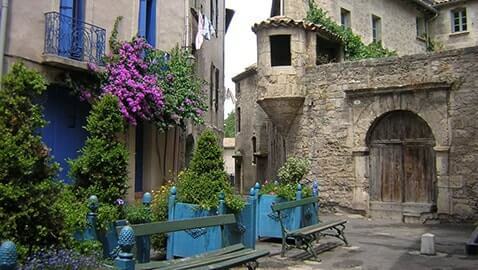 From Marseillan to Argeliers, visit nearby historical landmarks.